Did you know people use our design tables and cooler? This is a world of DIY and we love to help! Our customers can save anywhere from 20 – 50% off the designed price on flowers when they buy them “Take Out”. 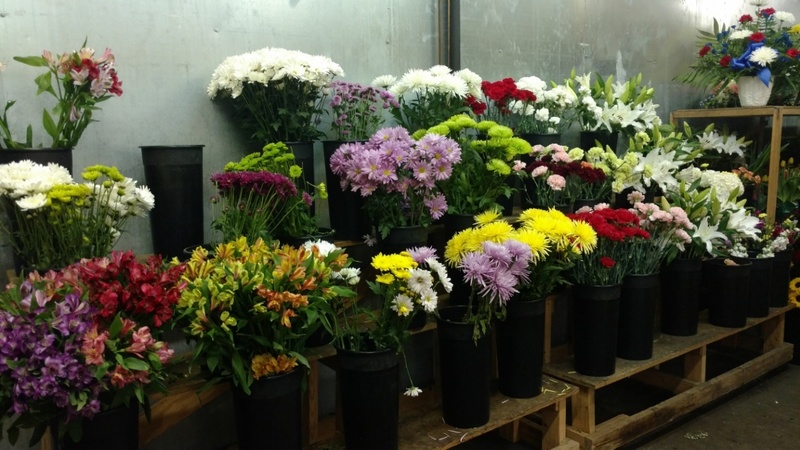 Take out flowers are flowers customers pick out of our current stock from our 500 sq ft cooler. We wrap the flowers in cellophane and the customer takes the flowers home to vase. But sometimes our customers are on their way to the hospital, special occasion or event and want to have the flowers vased before they get to their destination. They will bring their own vase and use one of our design tables to create their bouquet. Sometimes we can have great ideas and want to "DIY" but things just aren't turning out the way we want them too. Don't worry; if your masterpiece is looking more like a master mess then you can still pay to have one of our designers to make something beautiful! 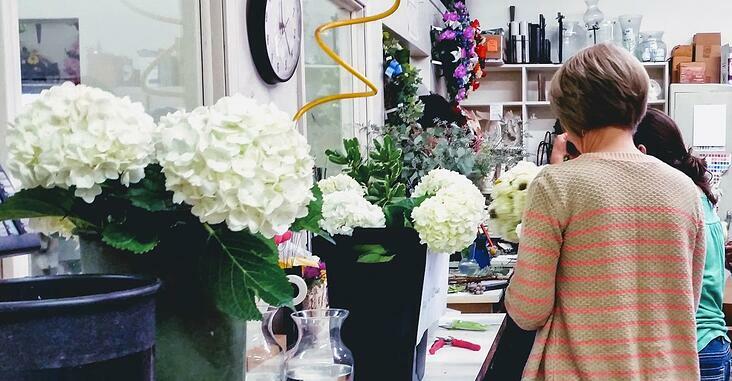 Brides need to stretch their dollar a lot further these days and a great way to do that is to buy “Take Out” flowers and use our design space to create the wedding flowers. Usually because the bride is very busy the day of the wedding, she will come in with her bridesmaids and create her wedding flowers the day before the wedding and then store her flowers overnight in our cooler and send someone to pick them up. 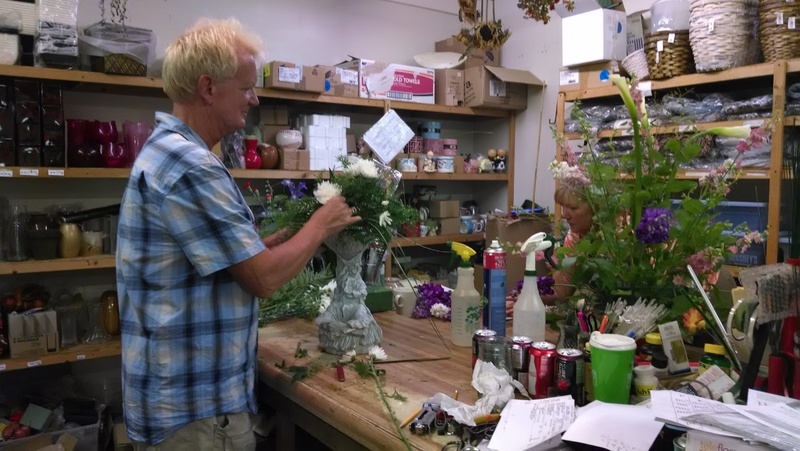 Some brides pay a small fee to have a designer spend a dedicated hour with them to teach them how to create her bridal bouquet, corsages and boutonnières! Read more about our DIY Wedding flowers here! Want to book your DIY Wedding flowers? Click below to contact our Wedding Specialist!